The ongoing evolution of e-commerce and its continued adoption around the world is having a disruptive effect on brick-and-mortar retail. 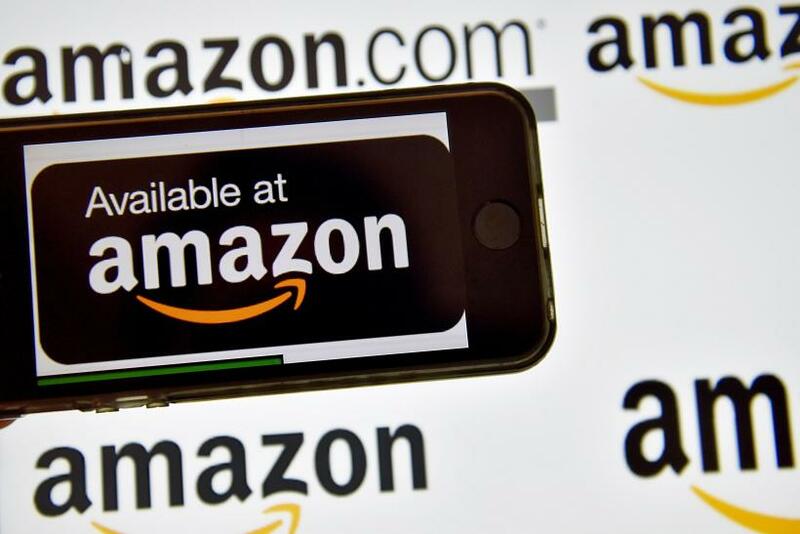 Because of its pole position as the world's largest online seller, Amazon.com (NASDAQ:AMZN) has played a major role in changing the way people shop. This ongoing phenomenon, which has been labeled "the Amazon effect," encompasses the broad move by consumers to the digital marketplace and the changes it has wrought on more traditional forms of retail -- and those far-reaching effects haven't been limited to just retail. Case in point: When rumors surfaced that Amazon had acquired wholesale pharmacy licenses in a number of states, more than a few health insurers and pharmacies saw their stocks plummet over fears that Amazon could become a major player in the industry. Will the banking industry be the next to feel the pinch? Amazon may be developing something akin to a checking account for its customers, according to a report in The Wall Street Journal. The company is said to be in discussions with large banking institutions like JPMorgan Chase (NYSE:JPM) and Capital One (NYSE:COF) to build a hybrid account that would appeal to younger customers and those without checking accounts. In its current form, it appears Amazon would be more of a partner than a competitor -- much to the relief of the banking industry. The complex web of financial regulations may have been a sufficient deterrent to starting its own financial institution. Walmart abandoned plans for its own banking operation more than a decade ago following withering criticism of regulators and lawmakers. There may already be built-in demand for such a product from Amazon. A recent survey conducted by LendEDU found that 44% of Amazon customers would consider using the e-tailer for their primary bank account, while 49% said they might open a savings account. 38% said they would trust Amazon as much as a traditional bank with their money. This is likely part of a larger move by the company to further insert itself into the lives of its growing customer base. Many of Amazon's regular patrons go on to become members of its Prime loyalty service, stage an Echo smart speaker in their living room, read books on a Kindle, shop at Amazon-owned Whole Foods, have dinner delivered by Amazon Eats or Amazon Fresh, and stream their favorite show on Prime Video. Prime and Echo deserve further mention, as they tend to generate higher spending by Amazon aficionados. Once members lay out the $99 per year for Prime membership, which includes free two-day shipping, they feel compelled to get their money's worth -- thus placing more orders. Those that interact with Alexa, the digital assistant that powers the Echo smart speaker, become accustomed to the ease of using voice commands to order products. Both lead to greater sales for Amazon. While non-member customers spend about $700 each year, Prime members spend about $1,300, while Echo owners lay out a whopping $1,700 annually, according to analysis conducted by Consumer Intelligence Retail Partners. By gradually becoming more a part of these customers' daily lives, Amazon remains top of mind and commands a greater percentage of their retail dollars than might otherwise be the case. Those numbers are already stunning. In its most recent quarter, Amazon grew its net sales to $60.5 billion, up 36% over the prior-year quarter, a staggering increase for a company with a market cap of over $740 billion. You'd be tempted to think that a company that size couldn't continue to grow at such a rapid pace, but consider this: Online retail in the U.S. accounted for only 8.9% of total sales last year, and e-commerce continues to grow rapidly. Amazon already dominates e-commerce, with an estimated 44% of all online sales in the U.S. in 2017. Amazon isn't really all that interested in entering the banking industry. This is just one more way the company will continue to be front and center and serve its ever-expanding customer base. John Mackey, CEO of Whole Foods Market, an Amazon subsidiary, is a member of The Motley Fool's board of directors. Danny Vena owns shares of Amazon. The Motley Fool owns shares of and recommends Amazon. The Motley Fool has a disclosure policy.